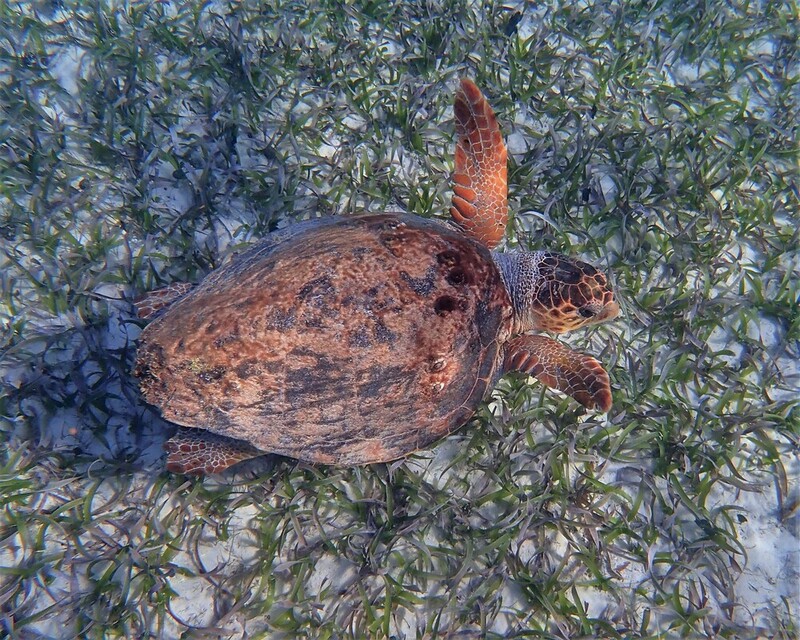 Our in-water research of sea turtles at Gallow's Point Reef has documented loggerhead sea turtles foraging for crustaceans and molluscs discarded by traditional sailboat fishermen inside the reef crest. The following individuals have been documented via photo ID. 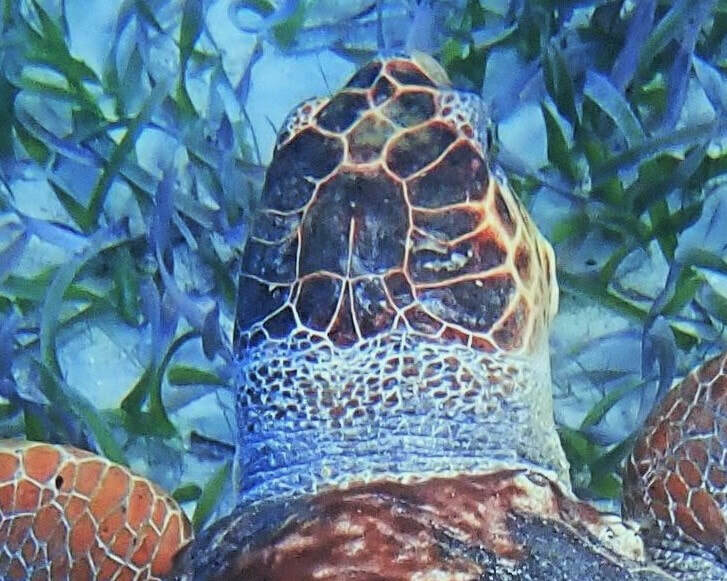 This loggerhead has 2 large barnacles on the marginal scutes below the right side if her neck. Another loggerhead at Gallows Point Reef! The loggerhead encountered this day had a nail protruding from her carapace! The large indentations of missing tissue on her front and rear flippers also suggest that she may have been confined with wire that ties the ends of her flippers together, but somehow escaped. Given her past ordeal with humans, surprisingly she did not seem afraid of us in the water! 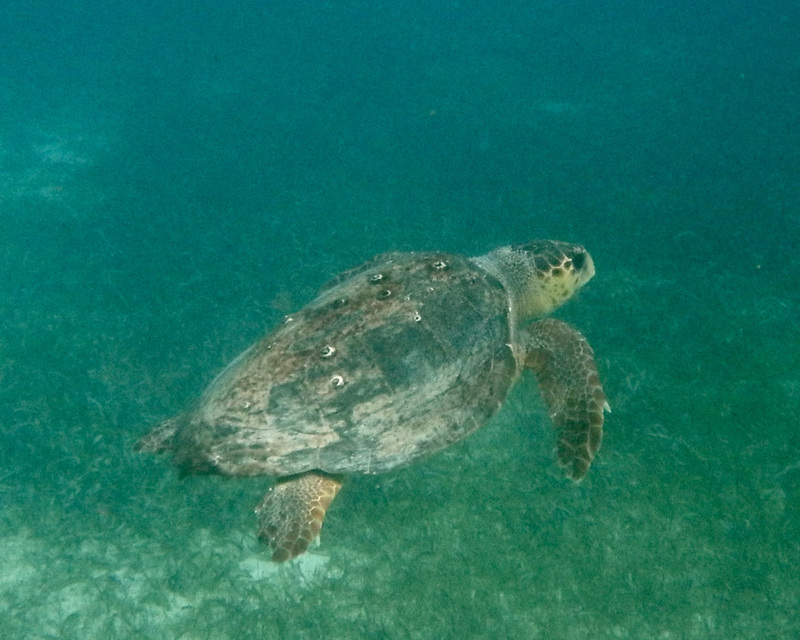 Two female loggerheads and two unknown sea turtles observed at North Gallows. 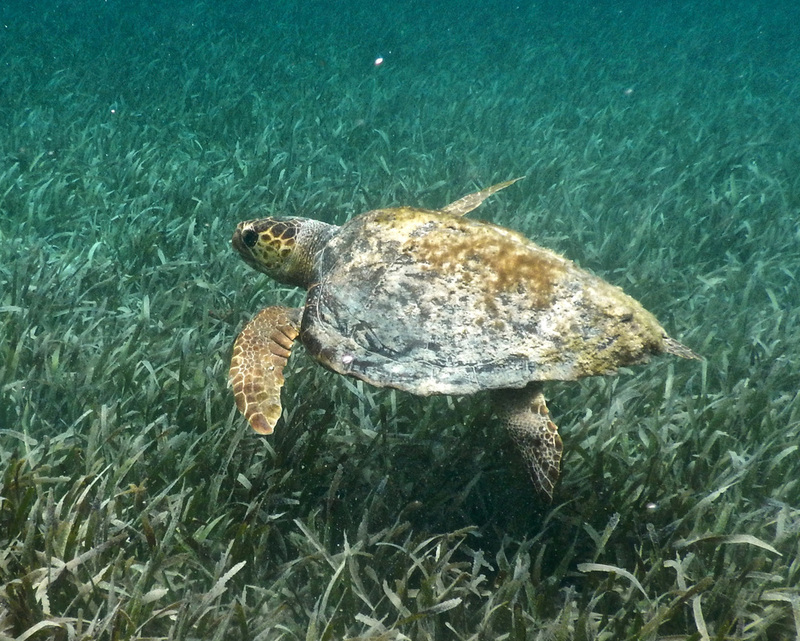 One unknown was similar size to the two confirmed, but another small turtle swam away before species confirmed. 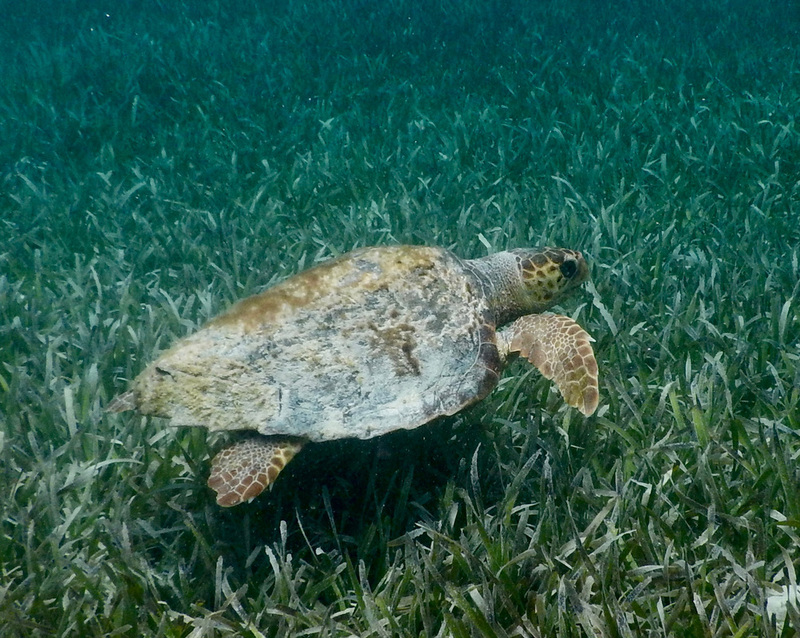 Clearly there were at least two different individual loggerheads foraging the area, possibly three, and an unknown juvenile sea turtle, could have been a loggerhead, green or hawksbill turtle. 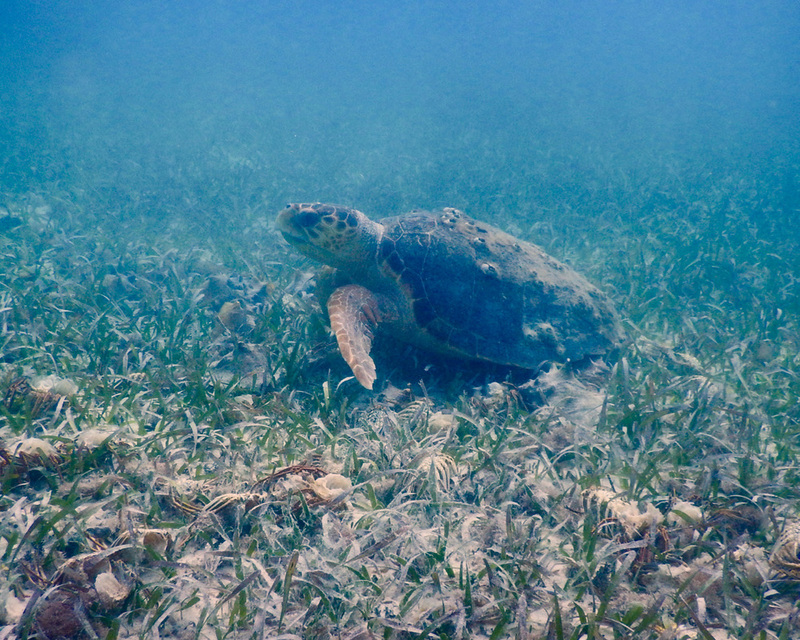 At conch survey site SG3, female loggerhead with no barnacles only patches of algae growing on her shell, swam over our transect in 3 ft of water. On the conch surveys we do find pieces of juvenile queen and hawkwing conch, which suggests they were consumed by loggerhead sea turtles. Loggerhead observed at North Gallows. 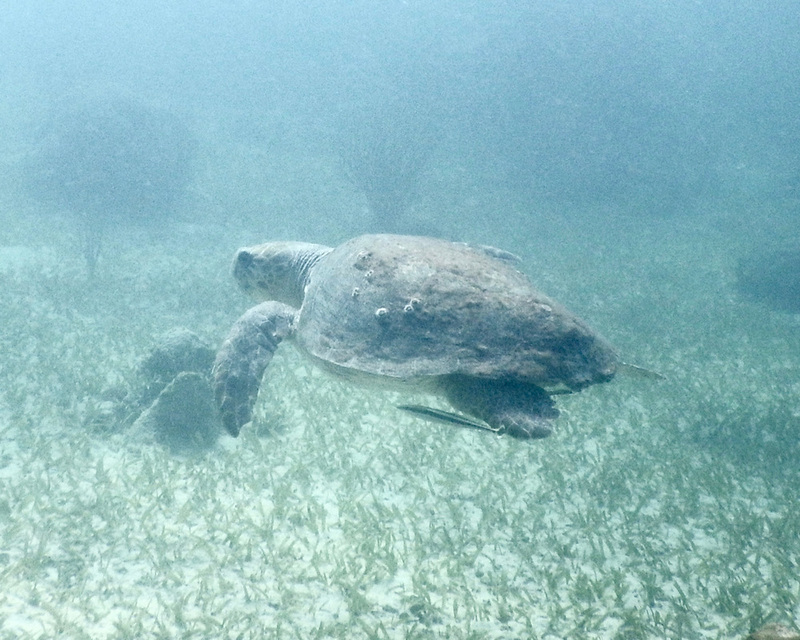 Loggerhead observed near fishermen sailboat eyeing freshly discarded lobster carcasses and conch shells on the sea floor in the grass beds at North Gallows. 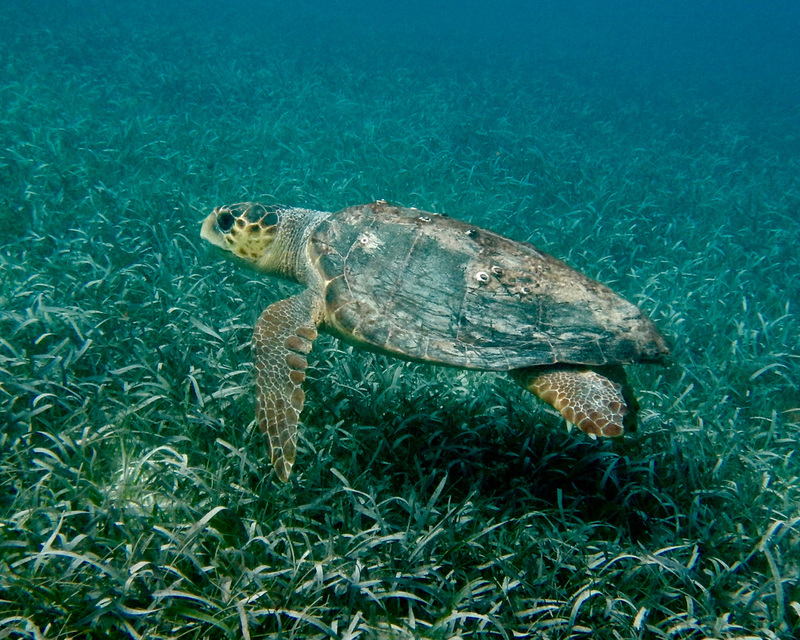 Barnacles on turtle's shells is one way to identify individuals. Barnacles can fall off so changes over time is possible. 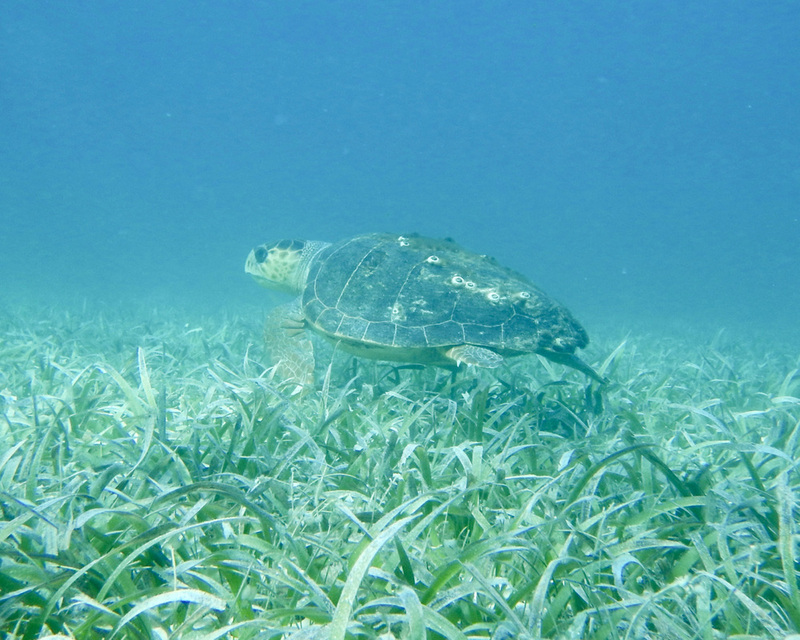 Here are four of the turtles observed in June and July 2016 that shows the pattern of barnacles and algae growth.